Biomass is available in 3 main formats as far as renewable heating applications are concerned, logs, wood chip and pellets and can provide an ideal fuel source for properties which are hard to heat due to low insulation levels, their physical size, or location. 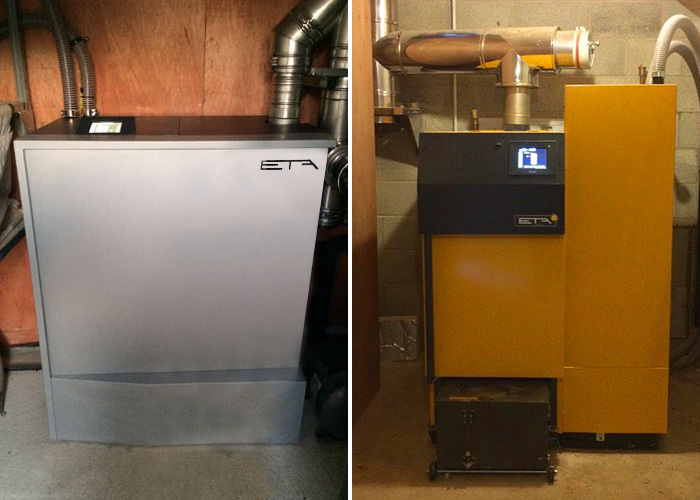 Typically biomass can work with existing radiators or other emitters, reducing the need for significant internal upheaval during retrofitting and are very often employed in district distribution scenarios where a single boiler supplies 2 or more properties sometimes via buried insulated pipework. The pellet and chip versions are automated and simply require fuel deliveries in the same way that LPG and oil do, whilst log gasification boilers are more labour intensive, mandating sometimes daily or twice daily intervention to load their fuel chamber with pre-dried logs. Properties with large stocks of wood or the proximity of managed woodland can essentially become self sufficient with biomass heating plant. 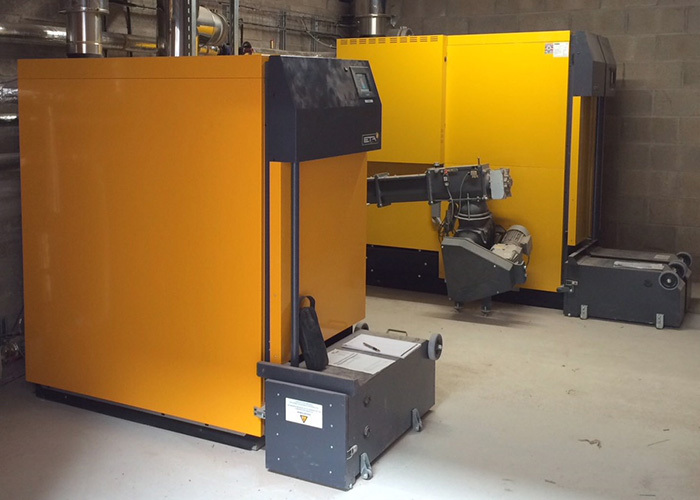 Biomass is fast becoming the fuel of choice with commercial customers keen to invest in the technology and reap the benefits of the Renewable Heat Incentive, which can create a profit year on year after the initial capital expenditure has been recovered. Offices, warehouses, shops and even twin self-contained dwellings are eligible for consideration under the non-domestic RHI which offers a 20 year return on investment. Our product of choice with biomass is ETA, we have experimented with other brands, but have ultimately reverted to the Austrian brand that we originally visited to investigate. Northern Europe has a rich heritage and interest in burning wood as fuel and the Austrian products that have evolved blend the knowledge from this heritage with Austrian precision and attention to detail. The boilers are robust, efficient and well designed and are available in a range of formats and sizes from small internal pellet boilers up to mega watt plant room specials. 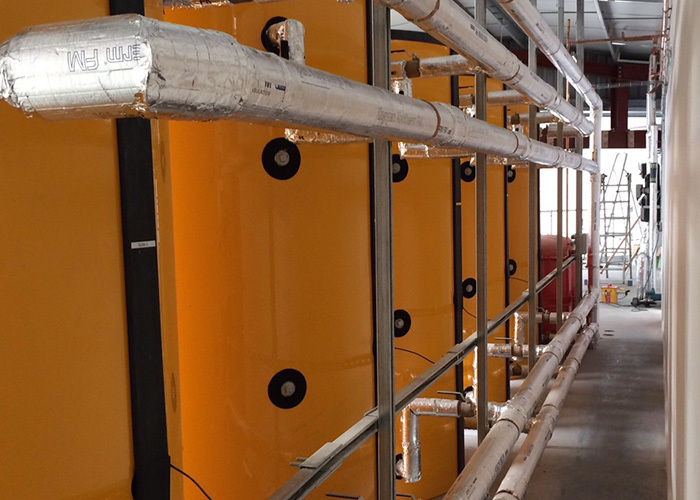 Generally speaking up to around 100kw demand pellet or log is the economic choice, the infrastructure and on site distribution mechanisms for chip are expensive and sizeable. Log gasification boilers require a significant amount of time and intervention from the owner and represent more of a lifestyle choice due to the labour involved. We have employed them in domestic situations to good effect though, they generally batch burn into a large store of water in an accumulator which then acts as a battery of stored heat that can be drawn down from as the heat load requires it. The greater the demand over the winter the more frequently the boiler is fired to keep the battery charged. Pellet in the small to large domestic and small commercial industrial is the natural choice, the boiler operation and fuel delivery from store is automated and apart from periodic checks on the ash pan, user intervention is limited, all of the boilers can be set up with either instantaneous hot water or stored cylinders.